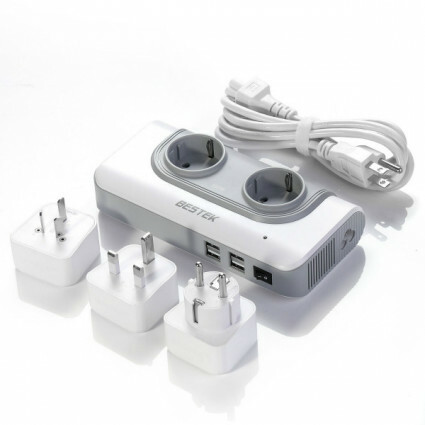 BESTEK voltage converter is perfect to charge your EU devices when traveling in other countries. The travel adapter converts voltage from 110V to 220V and has 3 travel adapters, allowing you to travel in more than 150 countries all over the world. 4 USB ports with 4.2A in total and 2 EU outlets enable you to charge up to 6 devices at the same time. The USB ports are auto-identified, can charge devices faster than ever. Built-in full protections to protect your devices from overload, overvoltage, overheating and short-circuit; safety door design protect kids from electricity. 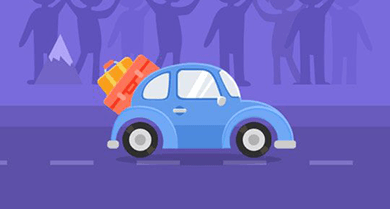 Compact designed with small size and light weight, easy to take and use, perfect for travel.